Yesterday Hans PA3FYG and myself went out for our first joint /P activity. We have been working together to develop and promote the PAFF program and met a couple of times on the radio during activities but never in person. After a short introduction we went into the park to find an operating position. 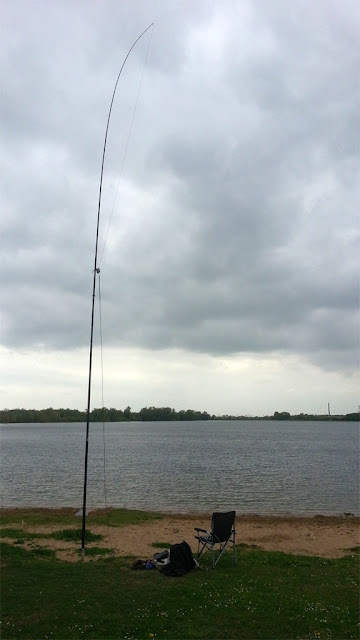 We decided to set up two stations some 150m apart, each on one end of a small lake (Bisonbaai) in the Ooijpolder. Hans brought his multi band end fed for 10-20-40m. As 10m was not open he had 20m and 40m at his disposal. I brought end fed wires for all bands from 6m down to 40m. 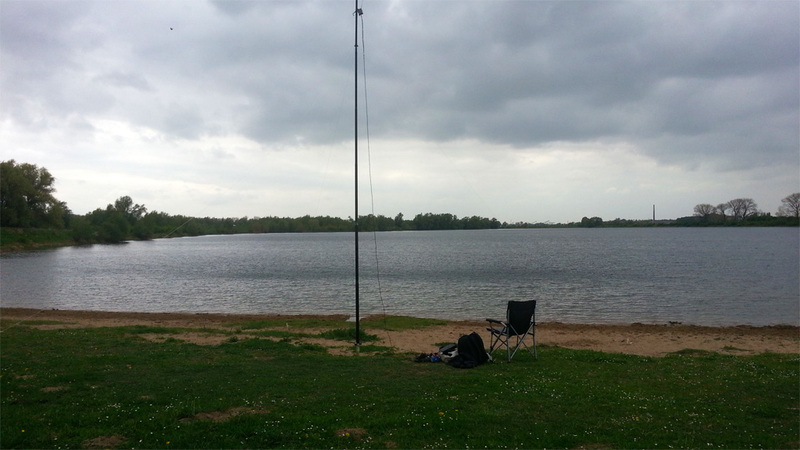 15m seemed to be open, so I decided to start there and try 17m after that - spreading our activity over 4 bands. 20m and 40m are the most popular bands for flora and fauna activity. This was noticeable in the amount of calls logged. When we decided to go for a cup of coffee at the nearby Oortjeshekken B&B 2 hours after we started I had only 47 calls in the log. Net operating time was less than 2 hours because the fibreglass pole collapsed three times due to the wind and I had to change the antenna once (from 15m to 17m). Still it made for the most quiet activity I have had so far. Hans had a busier time, logging approx 100 calls on 20m and 40m. The advantage of the higher bands is that you are more likely to encounter chasers @ DX. This was indeed the case with 25% of all calls logged originating from outside of Europe (4Z, R9, UN, VO, W0/3/4, PT, PJ, JE). Peter PJ4NX that I spoke to before at PAFF-069 on 10m, came by on 15m and 17m for two new PJ band slots and I met two people I had only so far met through e-mail (Andrej RN1CW, from WCA HQ and Carlos PT7ZT, PYFF co-ordinator). Ooijpolder is a beautiful park so I will return here some day when the weather is more /P friendly.